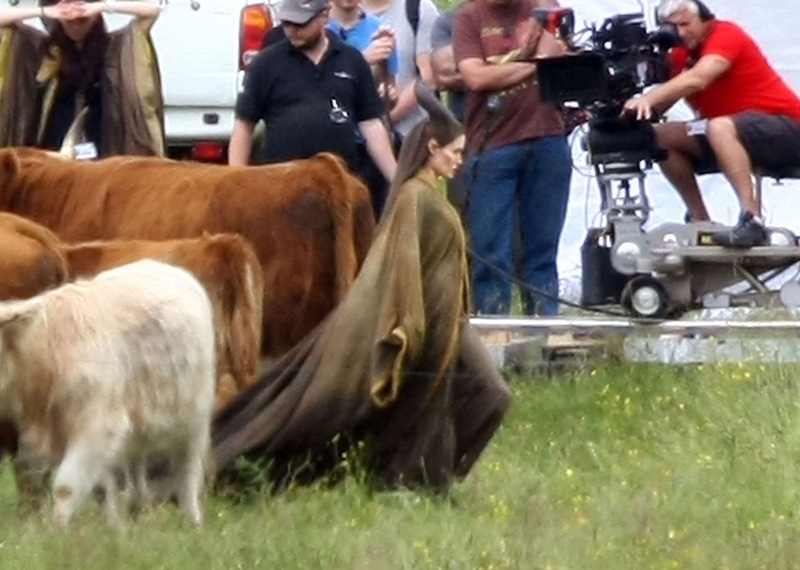 Full-body pics of Angelina Jolie on the set of Maleficent in the United Kingdom have surfaced. 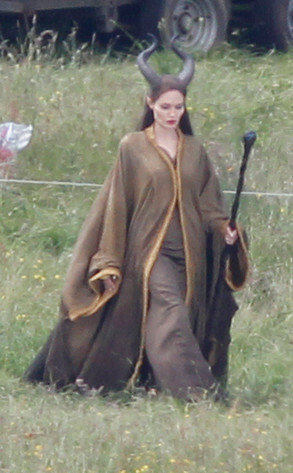 With her monkish brown robes, Angie is probably playing Maleficent before she was Maleficent here. If the cows were any indication, the writers have envisioned the Disney villain to have paid her dues as a herder.